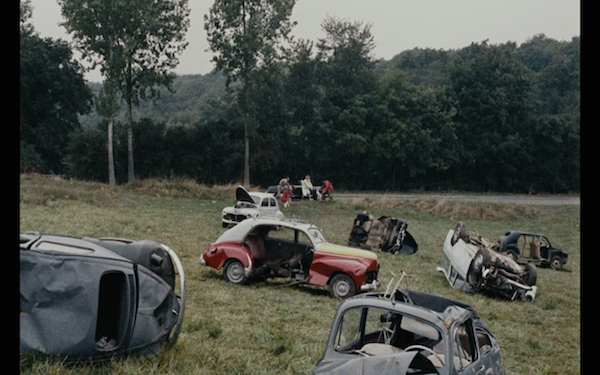 Aaron West does another solo cast looking at one of the later Godard works, as well as one of the most inflammatory, and one of the strangest. 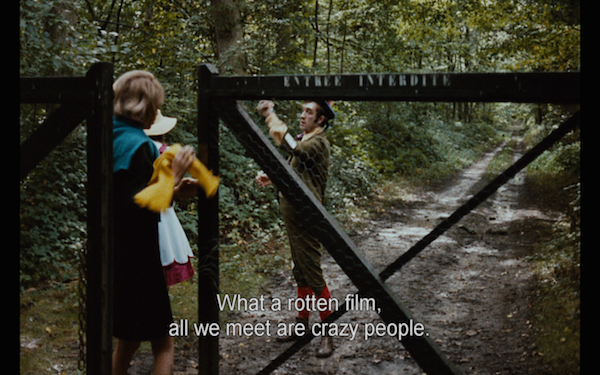 That’s saying something for Godard. He talks about the tracking shot, the political message, the references to film, and whether Godard was serious or just toying with the audience. Posted on October 23, 2015, in Criterions, Film, Podcast. Bookmark the permalink. 7 Comments. Pretty good my man! Way to start the WEEKEND! How do you do the screen shots? From TV or Computer? I keep getting this vibe that I should either be in the Godard or the Truffaut camp. 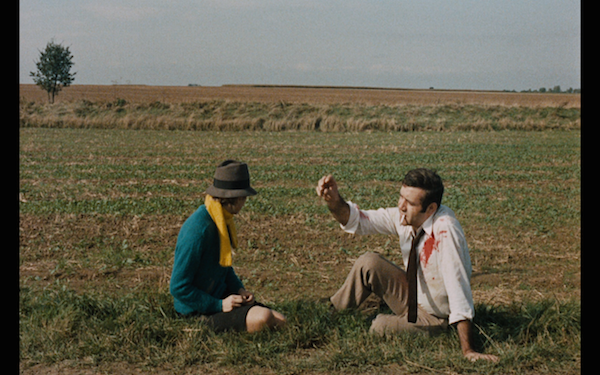 As much as want to gravitate toward Truffaut (the nice, good-hearted director), I like the gritty, coolness of Godard’s films. I have limited experience with each so the jury is still out. It’s tough to top Breathless and Band of Outsiders IMO. I’ll try to catch this film this WEEKEND and then listen to the podcast. 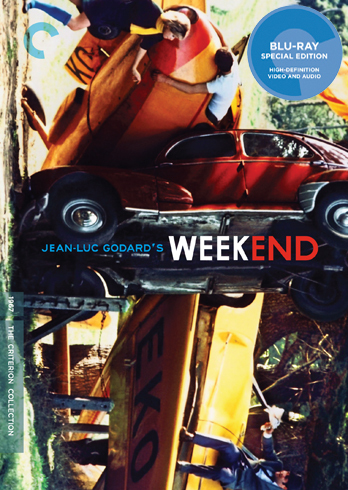 Weekend is my personal favorite of Godard. I’m at a loss on this film…Drugs is the only explanation that makes sense. If you can explain the last 20 minutes of the film to me, then you have the greatest podcast in the history of podcasts. Worth the watch for the tracking shot and some of the humor. But, a little to artsy for my taste. Good comments on the cast nonetheless. I didn’t get into the end for that reason, because I think it really is open to interpretation and the drug culture of 1967 was definitely a factor. That’s why I played the guy drumming and chanting, just a nod to the crazy ending. Nobody can explain it, but I think Godard was again playing tricks with the viewer and turning the camera on them in a way. He is trying to shock and provoke them, shaking them away from selfishness and ignorance. It was all political in my opinion.